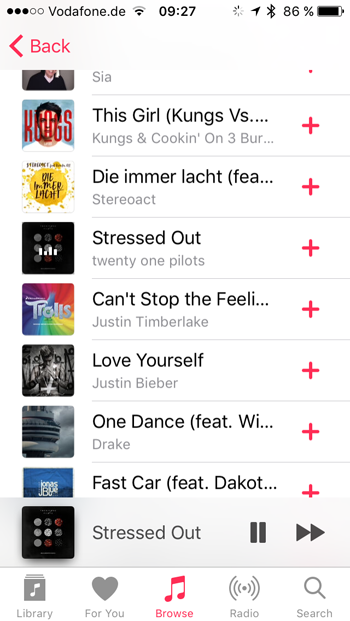 If you are using an iPhone, iPod touch or iPad, it is very easy to play the iTunes music stored on your HEOS device. Open the HEOS app and select the room or group you want. 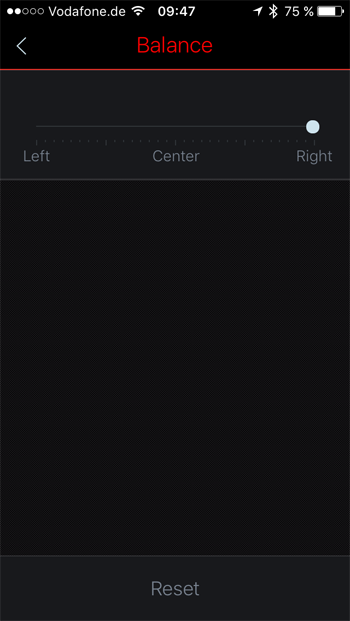 Select This iPhone, This iPad or This iPod depending on your device in the Music tab. 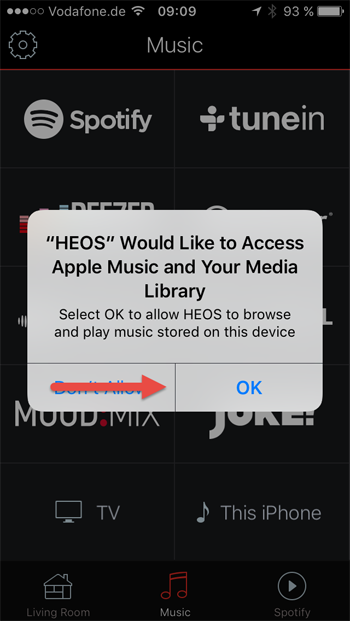 A message will pop up and ask you to grant the HEOS app access to your music library stored on your iDevice. 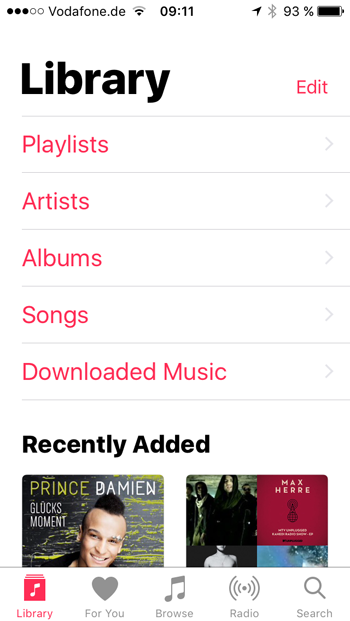 Please select OK.
After that, you can browse your iTunes library. 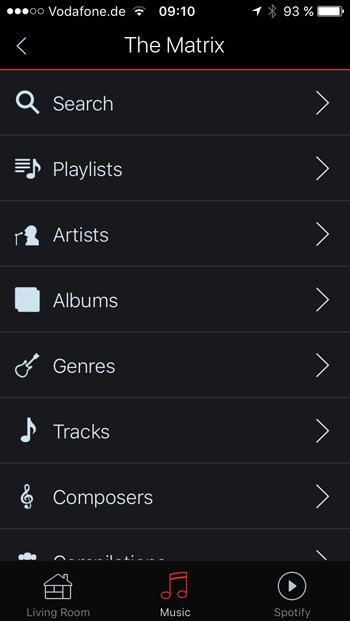 *Please note that you will only have access to music and tracks that are stored locally on your iDevice. 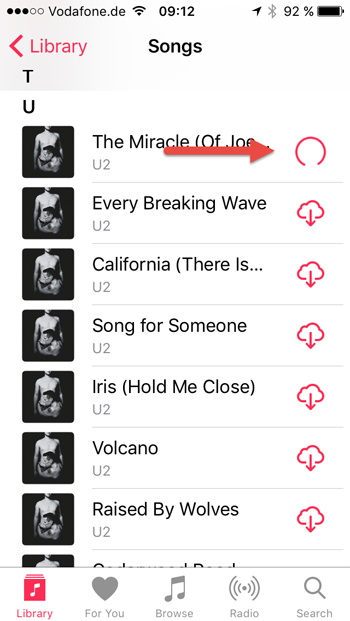 If you cannot see all the songs from your library in the HEOS app, you’ll need to download the songs from the cloud first to your phone. 2. 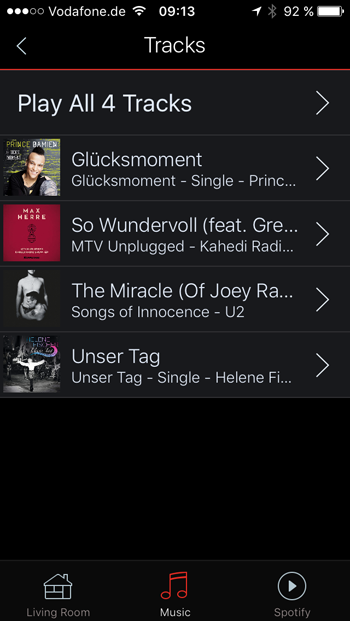 In the library, choose the songs you would like to access via HEOS and click on the download symbol to the right of the song name. 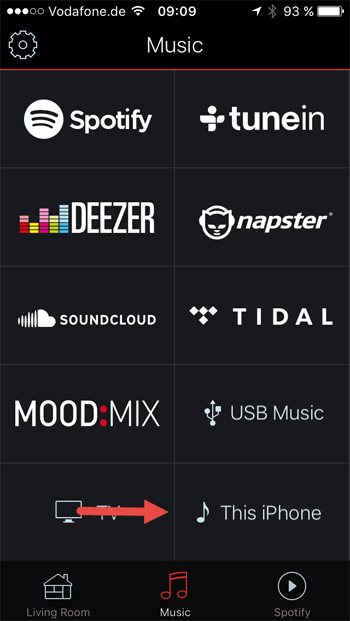 The track will be downloaded. 3. 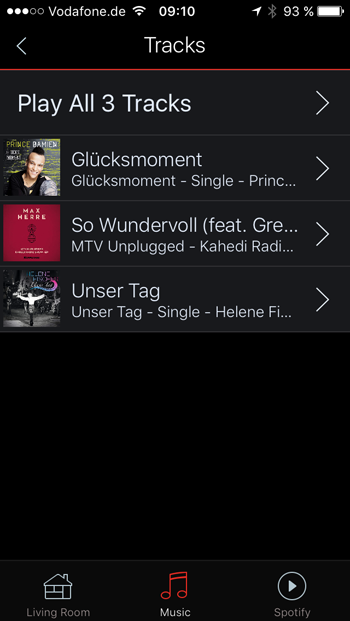 Once the download has completed, change to the HEOS app again and – when searching your iDevice – you’ll now find the track(s) downloaded to your phone. 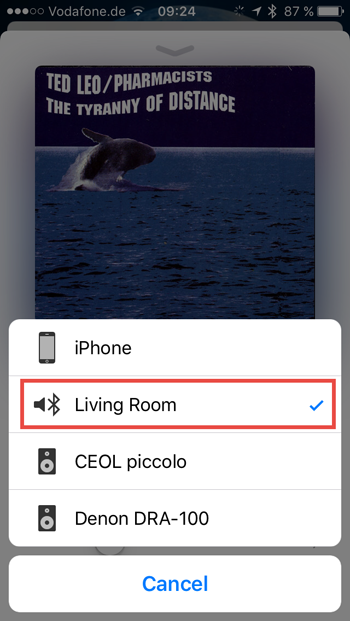 Listening to Apple Music on HEOS speakers requires the Apple Music app to be running on a Bluetooth capable mobile device. 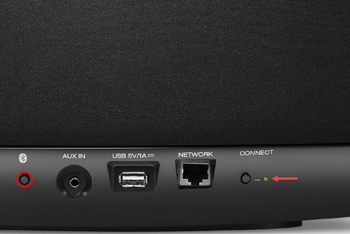 Press and hold the Bluetooth button (left red circle in the picture) on the back of your HEOS device (feature is available on HS2 HEOS devices) for at least 4 seconds. The Connect LED (right in the picture) will start blinking green. 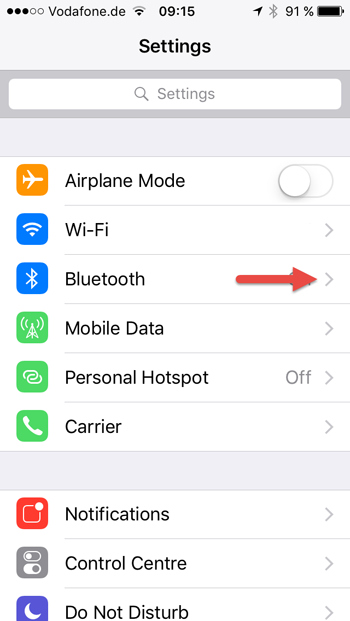 Tap on the Bluetooth item in the Settings menu of your smart device and ensure that Bluetooth is switched on. 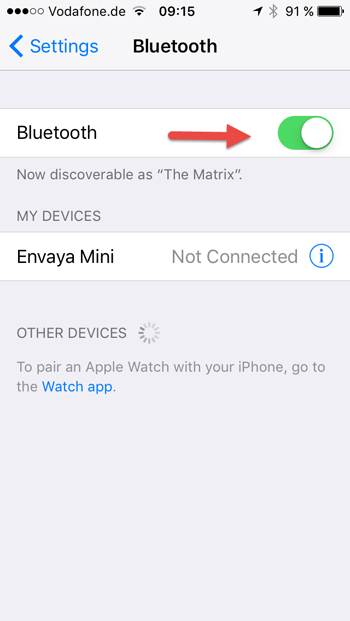 After a short time, the name of your HEOS device appears in the Bluetooth menu of your smart device. 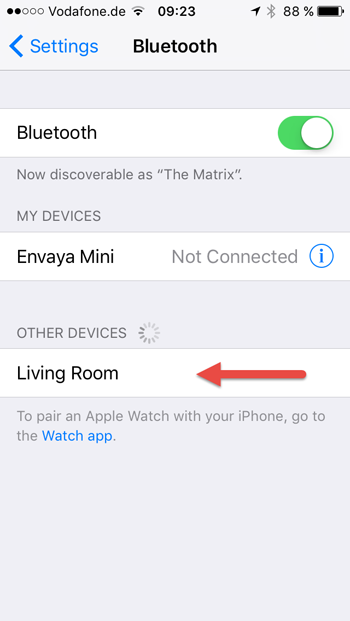 Tap on the device name to connect. 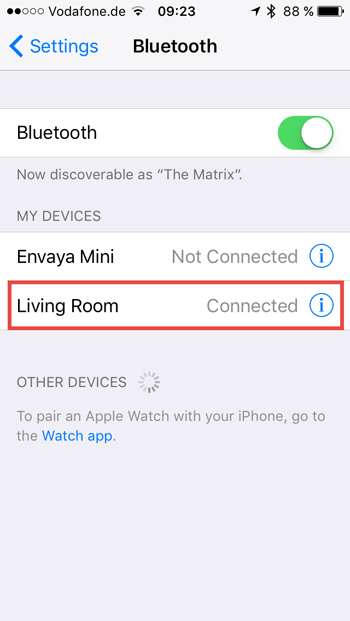 The device will then be added under My Devices and show as Connected. 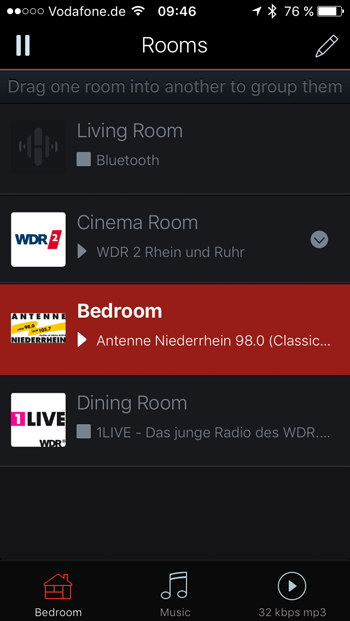 Now you can change to the Music app and select the music you want, which will now be played automatically via the connected HEOS device. 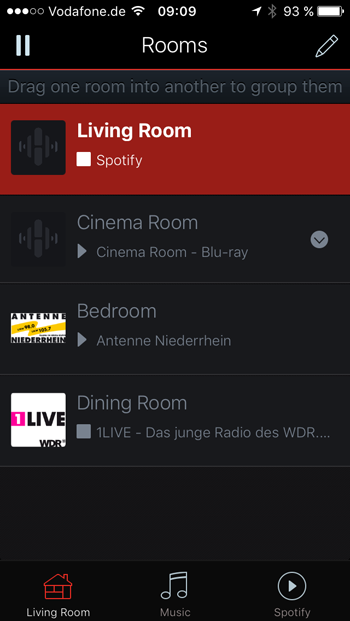 If you want to listen to the music on more than one HEOS device, you can open the HEOS app and group the speakers to the one playing Apple Music via Bluetooth in the Rooms tab. If you have two HEOS speakers of the same type (e.g. 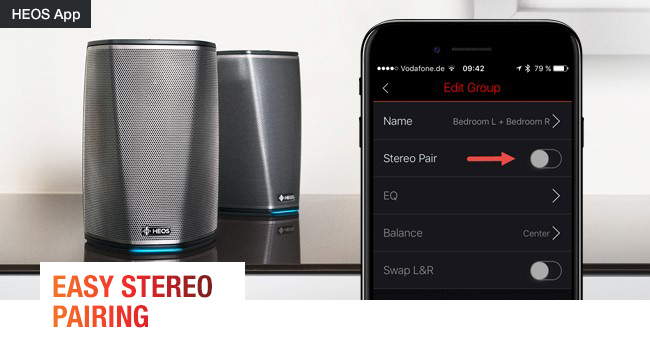 two HEOS 3 speakers), you can create a perfectly synchronized stereo pair. This means one speaker will reproduce only the left channel and the other speaker only the right channel of the signal. 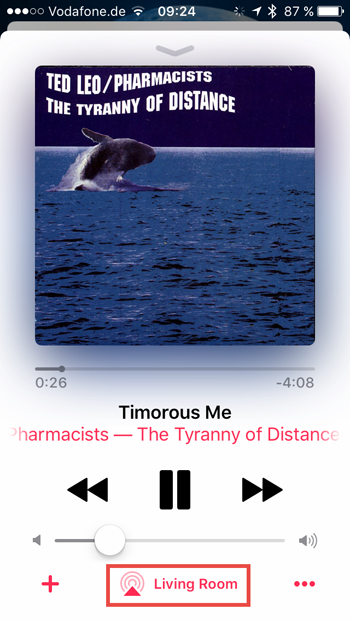 How to create a stereo pair? 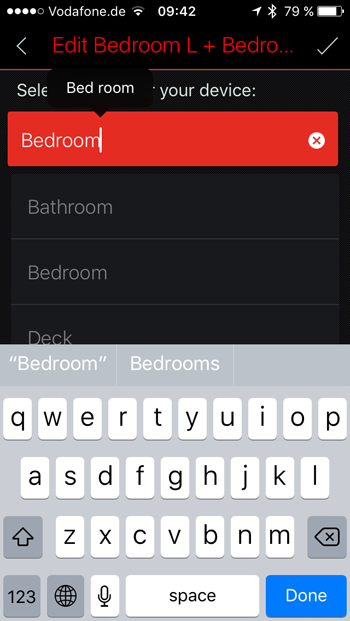 Open the HEOS app and go to the Rooms tab. Group the two speakers by dragging one and moving it into the other. 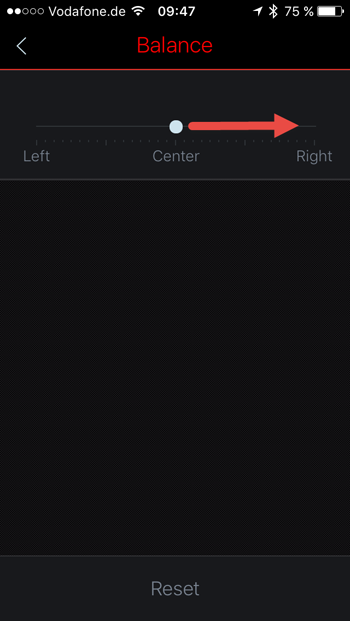 Select the pencil symbol in the upper right corner and tap on the arrow of the group you just created. The stereo pairing menu will be opened and here, you create a stereo pair by sliding the switch to the right. 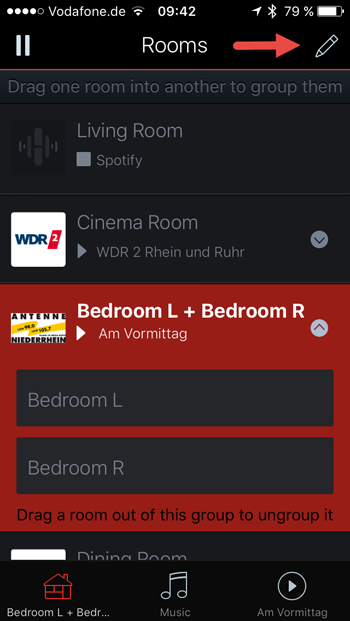 Your stereo pair is created and appears as one zone in the Rooms tab. How to rename the Stereo pair? 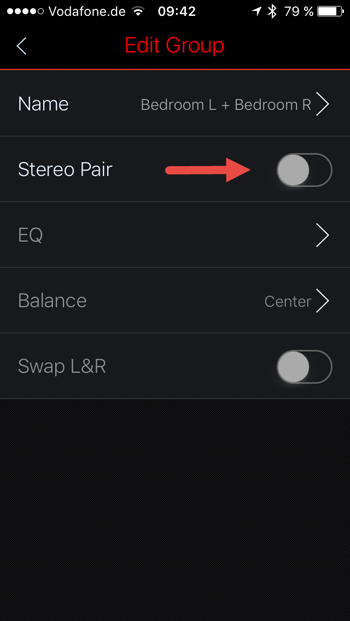 Enter the Stereo pairing menu by selecting Stereo Pair in the Rooms tab, pressing on the pencil symbol and selecting the arrow behind the stereo pair. Select Rename and set the desired name. 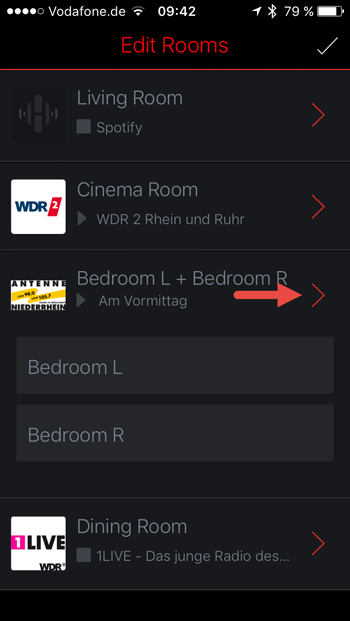 How to set the correct speaker assignment (left, right) in a stereo pair? Playback some music on the stereo pair. Select Balance and set the balance fully to the right. 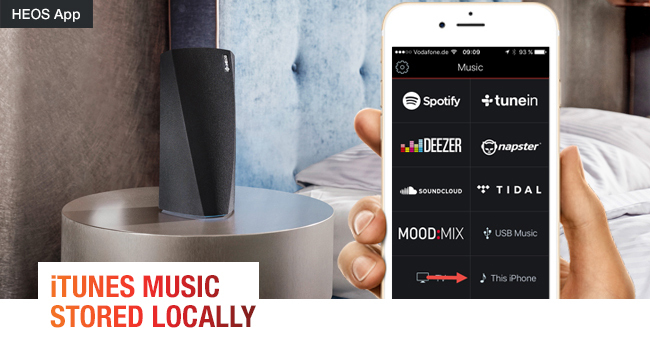 Now, the music should only come from the right speaker. 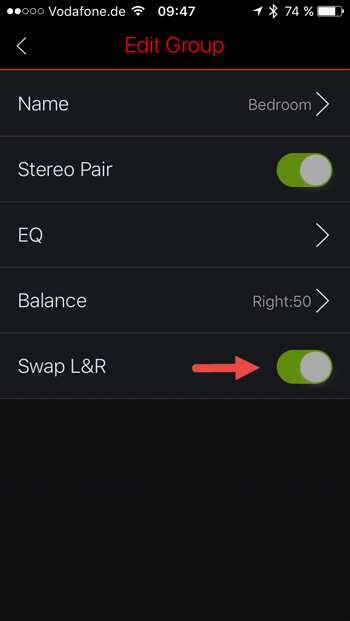 If the music only plays on the left speaker, leave the Balance menu by tapping the arrow on the upper left corner and swap the speakers by sliding the Swap Speakers slide to the right. 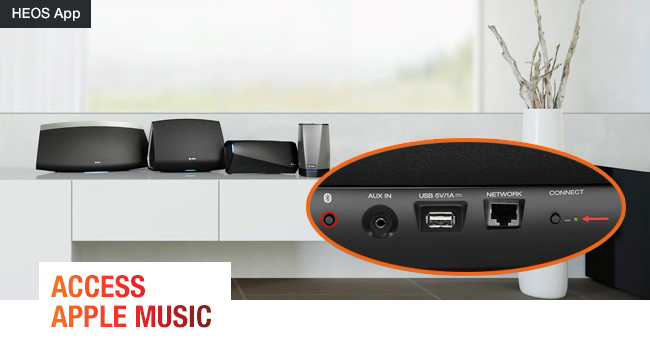 Now, the sound should only be reproduced from the right speaker. 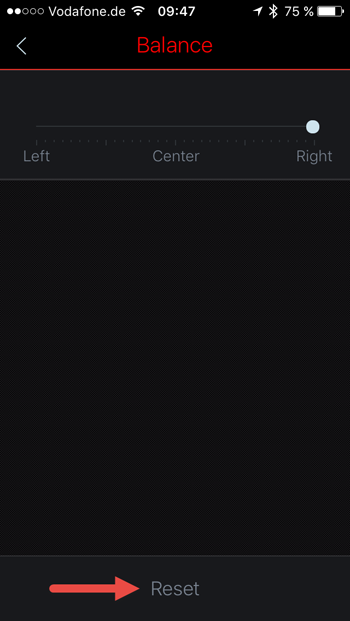 Enter the Balance menu again and tap on Reset, so that you have the balance in the middle again . 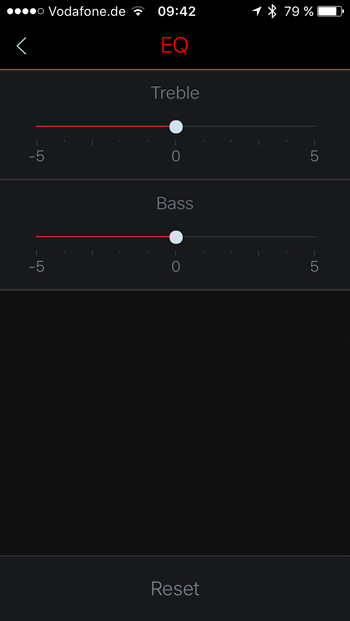 How to change the treble, bass and balance of a stereo pair? 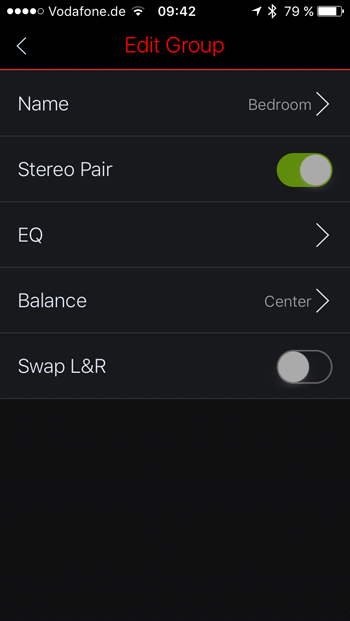 Select Balance or EQ depending on what you want to change. 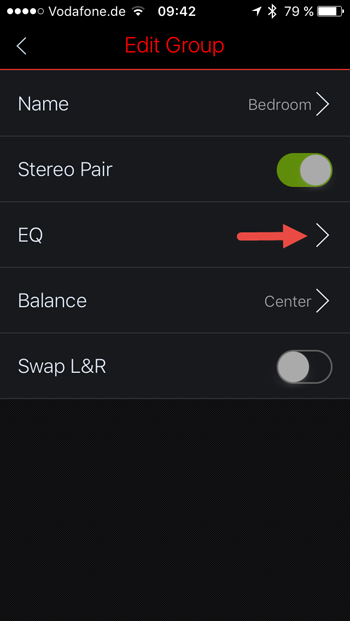 If you select EQ, you can adjust treble and bass of the speaker pair simultaneously.